Topps has a great thing going with ToppsNOW and they are profiting handsomely with it. Unfortunately for them, this is 2016. If you are like most everyone else, you are asking yourself “Why are they only making a few cards a day?” Get with the times! Am I right? 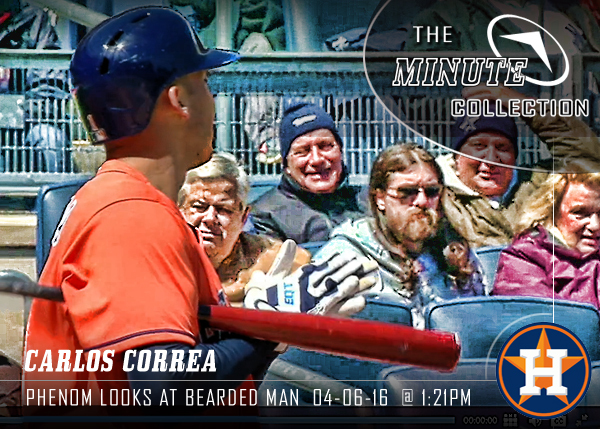 Let’s face it: Even if Carlos Correa has a monster 2016 campaign, we can only realistically expect 50 different issues. With The Minute Collection, the shortage of different issues is a thing of the past! 50 different Correa for 2016? Pffft. How about 50 different Correa a day? 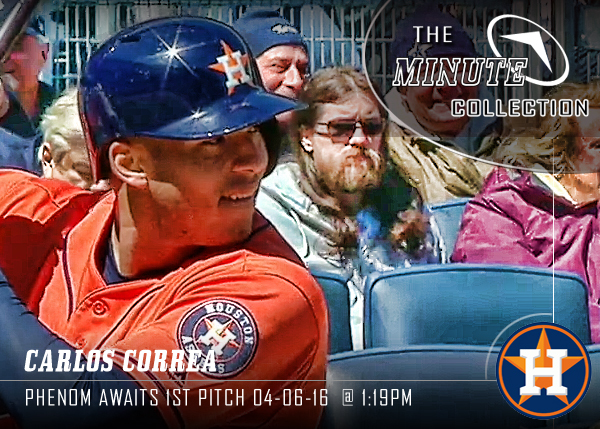 Capture Carlos like never before on the first pitch he faced for 2016 on a real Correa baseball card. Capture the fans like never before as they watch Carlos on the first pitch he faced in 2016 on a real Correa baseball card. 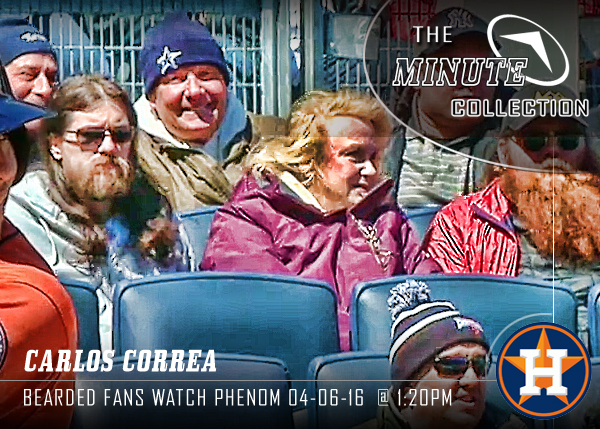 Capture Carlos like never before as he watches the fans watching him on the first pitch he faced in 2016 on a real Correa baseball card. And so much more. These 3 cards were from a mere 3 minutes of the game. Each card is only available for 60 seconds. Once they are gone, they are gone! Coming soon, after the all star break, download the new app “The Minute Collection App”. This lets you watch games directly on your mobile phone, and with a press of your finger, YOU can create your own Minute Collection card! Once you touch, an image is created and we build it into our design, produce it, then send it out via flying android bots to your door! THE MINUTE COLLECTION: Because Having Cards NOW is Already Too Late! Ha, I would expect nothing less from you – I like it.